A chainsaw is the tool that many owners of private houses prefer to have on hand, because you cannot do without it during the installation of wooden structures, repairs, and also when it comes to simply cutting a branch or a whole tree. 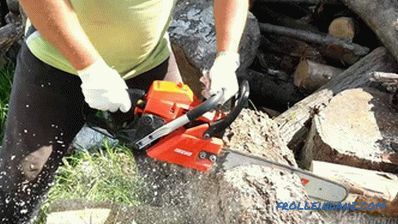 The advantage of the chainsaw is that its work does not require an electrical network and extension cables that stretch throughout the house and yard, however, this tool must be refilled as needed with gasoline mixed with oil. 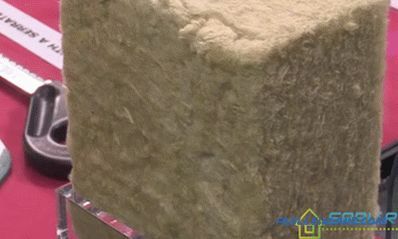 strong smoke appears at operation of the tool caused by these or other faults. The solution to all these problems is often one thing - it’s enough to figure out how to adjust the carburetor on a chainsaw and in what cases it needs to be done. To understand how to properly adjust the carburetor of a chainsaw, you need to figure out what principle it works. In the diagram below, you can see how this device works. Consider the principle by which the main dosing system works. Bottom (1) and in the upper part of the membrane (2) a different pressure is created, as a result of which the diaphragm with a cylindrical piston (3) is activated and it starts to rise. The process continues until the engine revs. This effect is achieved due to the fact that, by opening the throttle (5), the engine, by increasing the speed, creates some vacuum, and the diaphragm together with the cylindrical piston (3) rises along with the needle (4). This increases the amount of fuel entering the engine. This whole system stabilizes the vacuum in the needle area, so the fuel is better mixed with air. 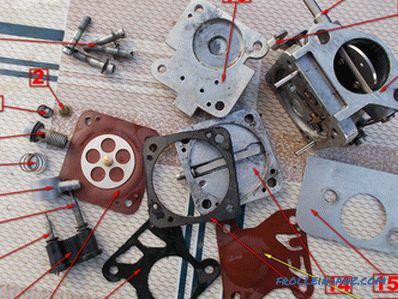 The principle of operation of the carburetors of chainsaws from different manufacturers is the same, but the device may differ slightly. 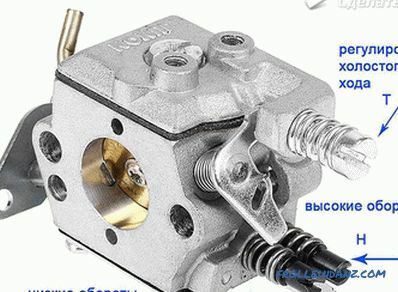 After studying the illustration, you can find out what the details of the carburetor are called. It is quite clear that before something to do with a chainsaw, you need to understand why it works poorly. First you need to take care of a convenient place where you can do adjustments or repair the carburetor. 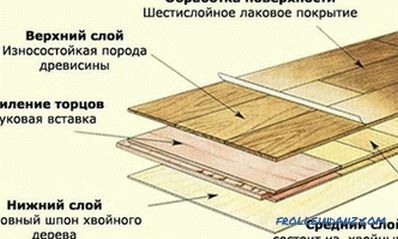 It should be a flat platform, wide enough so that the parts laid on it are not lost, falling on the floor. In comparison with water, gasoline has a lower density, so that it will always be above the water that has entered the tank. The chainsaw will not be able to work on such a composition, so you need to get rid of what should not be in the tank, drain water from it. To check if this is the case, you need to disconnect the fuel line tube from the carburetor and insert it into a plastic bottle and drain the gasoline into it. As you can see in the photo - he will meet down. In this case, the carburetor needs to be disassembled and cleaned. If there is no water in the fuel, then we return it to the tank and look for another malfunction. 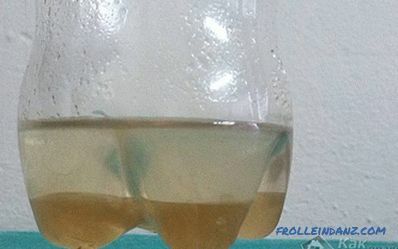 Gasoline properties deteriorate over time, and the engine may not start only for this reason. In this case, the old fuel is drained and fresh is poured instead. The condition of the candle can be compared with an open book - you just need to be able to read. The given table will help to understand this. It’s easy to check if there really is a spark on the candle. To do this, remove the tip, unscrew the candle, and again put the tip on it. 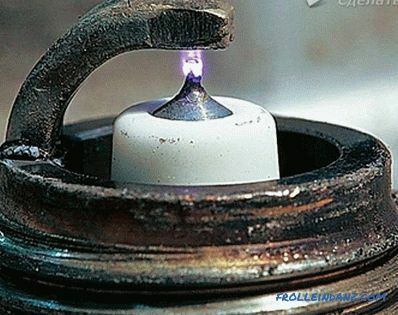 The candle should be put on the engine housing, turn on the ignition and turn the crankshaft intensively - a clearly visible spark should slip from the anode to the side electrode. A very high voltage is applied to the candle - on the order of several thousand volts. If you hold the candle in your hand while checking, the electric shock will be very painful. Also, it does not need to be held by hand, pressing it against the motor case, since it is possible not to hold it inadvertently, and then again you can check the "to touch" current. 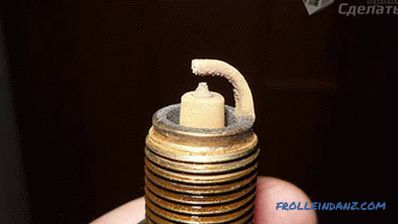 Even if the spark is strong, this is not yet the main indicator of the performance of the spark plug, since when compression occurs in the engine, it may become weaker or disappear altogether. It can be checked under pressure in a special device. In some cases, the cause can be caused by a candlestick. It has a resistor that protects against the radiation of radio interference, and its burnout causes the spark to disappear. You can check it by pulling out a high-voltage wire from it, and connecting it directly to the candle. The check is performed in the same way as described above. A high-voltage wire can also fail. If there is a thick central core in it, then it can only pierce it, and the spark will go off to the body. If a thin wire is wound inside the wire, then the probability of its burning out is very high. Sometimes it happens that the switch contacts burn out or it simply fails. You can simply bind the terminals with a screwdriver. If after these actions there is a spark, then you need to replace the switch. 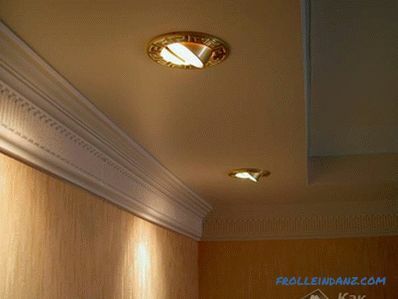 If there is still no spark, then the fault may be in the hall sensor or in the electronic ignition unit. 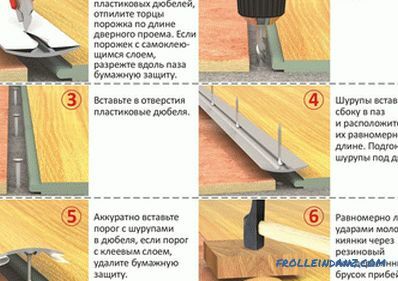 In this case, in order to check and eliminate the malfunction, take the saw to the workshop. So, having dealt with possible malfunctions and eliminating them, let's proceed to adjusting the carburetor. The reason for the unstable operation of the engine may be a weak compression. In this case, adjustments can achieve minor results. Actually adjusting the carburetor is not as difficult as it may seem. No need to fill in cheaper gasoline. Not only will the motor not develop the necessary power, it will also have to adjust the carburetor for this fuel. In addition, the consumption of low-octane fuel will increase. The bulk of the carburetors is adjusted by three screws. 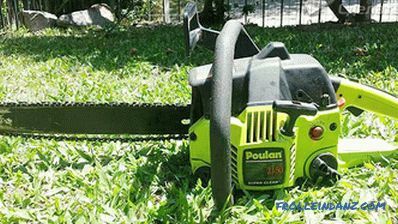 On how well the setting will be performed, depends on the efficiency, power chainsaws and fuel consumption. Consider the role each screw has. T . Regulates engine idle. (On some models S3; LA may be marked). With it, set the minimum speed at which the engine will operate stably. H . Management of the main jet. He is responsible for maximum speed. Essentially, this dispenser, regulating the flow of fuel. L . Quality management mixture to stabilize the engine at idle. With branded chainsaws, the manufacturer provides an operation manual, which also contains standards for adjusting the carburetor of an existing machine. 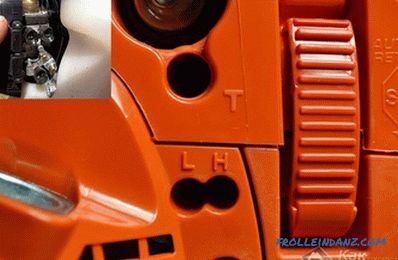 In other cases, the screws H and L twist until it stops, and then unscrew a half turn. 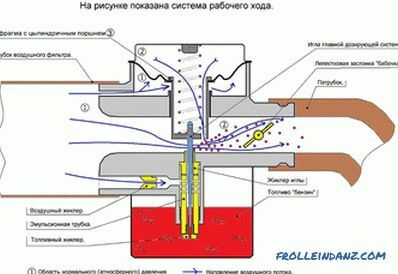 This is how the basic settings are made, the final adjustment is performed only on a warm engine. 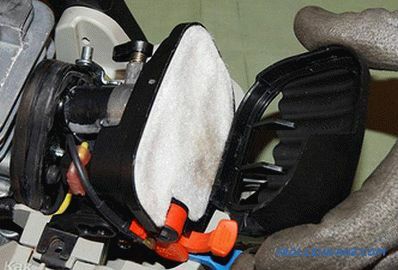 The carburetor adjustment is performed only after cleaning or replacing the filter. The engine warms up within a few minutes and only after that you can begin to set up the carburetor. Release the handle that is used to control the throttle - the engine should not stall. You can slightly increase the speed (screw T ), but only so that the chain does not start to rotate. We begin to slowly tighten the screw L . We do this until engine speed begins to fall. It is necessary to check how the engine works at high revs, and then abruptly reset the gas. If the engine worked fine, but then stalled, you can increase the speed by tightening the screw T .
How high is the engine crankshaft speed? 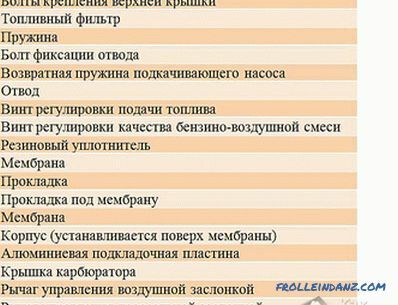 Without a tachometer, this is not verified, but you should not think that the more, the better. 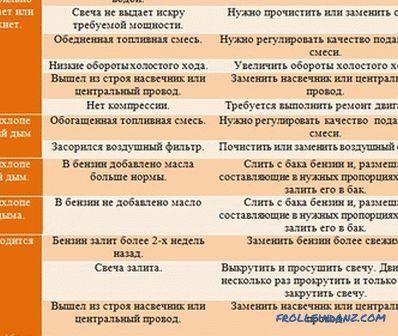 They can be increased or reduced by screw H . Moreover, to increase the revolutions, the screw must be screwed in, and to be reduced, it must be unscrewed. At idle speed, the circuit remains stationary. It is necessary that the chainsaw reacts sensitively to the accelerator control, rapidly gaining momentum. If the chainsaw chain is blunt, then the load on motor will increase. Sharpening the chain will help fix the situation. 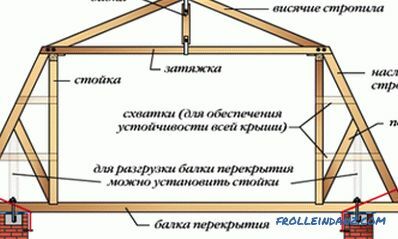 It remains to check the operation of the unit under load. If everything is normal, then you can get to work, but if the motor works intermittently, it loses power, and so on., then you need to try again to make adjustments or contact a specialist.